A new model home in the Weston development, a master planned community in Santee, California. As Jimmy Ayala, Division President of Pardee Homes San Diego, leads me through a series of model homes at his company’s new Weston development in Santee, California, he explains that this master-planned community is both a vision of the future, as well as the last of its kind. A four-neighborhood, 415-home, 204-acre project in the booming East County area outside San Diego, Weston might be one of the region’s last housing developments done at this scale. A co-development between TRI Pointe Home Solutions and Pardee, this project was a decade in the making, owing to challenges securing permits and arranging parcels. As Ayala takes me through a series of different-sized model homes, ranging from the $500,000s to the high $700,000s, all decorated with bright contemporary decor and lots of outdoor furniture, he also explains how Weston represents California’s future, specifically a turn towards increased solar power. 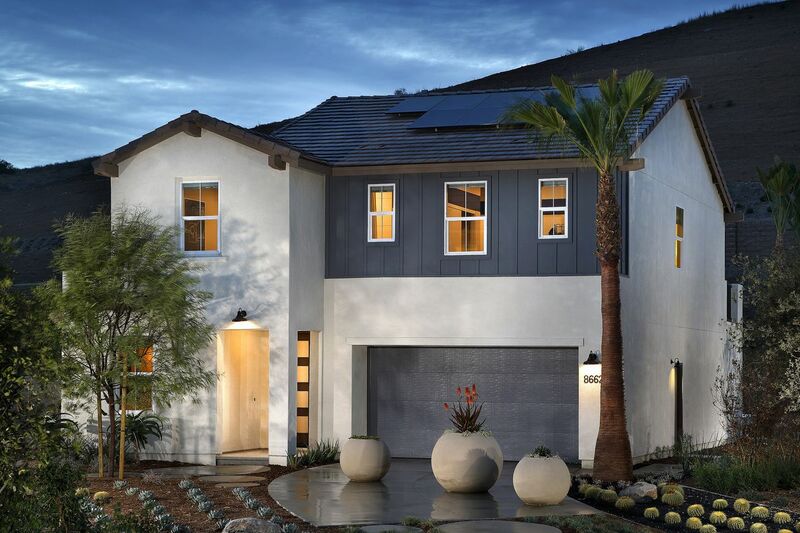 Weston is Pardee’s first master-planned community to offer solar for purchase or lease on every single home. This feature foreshadows a significant change in California’s building code, going into effect in 2020, that will make the state the first in the nation to mandate all new homes are net zero ready, meaning they’re built to use as much or less energy than they can generate with renewables. Passed last year, the updated code will also require that rooftop solar panels be installed on all new single-family homes and low-rise multi-family buildings to offset the expected annual electricity use. According to Ayala, these systems, and Pardee’s new solar-ready development, makes financial sense. Each home will come with SunPower solar system, ranging from 3 to 5 kilowatts, which can generate up to 8,000 kilowatt hours based on home orientation, which estimates suggest will cover 80 percent or more of a home’s energy usage.